We are building a purpose-driven humanitarian quantum-secured blockchain, focused on People, Planet, Prosperity, Purpose, and Philanthropy. 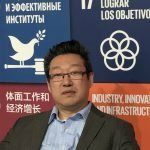 David Kam – Original Founder, Chairman and CEO, since 2011 he has been in the blockchain and the cryptocurrency industry after indigenous nations approached him to help them end the poverty and sufffering of their people. He had a dream vision of the Tree of Life in 2013, which gave rise to the idea of the Earth Dollar, a currency backed by the health and wellness of Mother Earth. 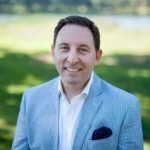 He is also the Chairman of the U.S. Blockchain Association and the President of the Nevada Blockchain Association. He is a co-author of a new book on “The Future of Blockchain Technology”. He is also the co-host of a new upcoming TV show on blockchain and cryptocurrencies called the Satoshi Show. He hopes to use the blockchain counter culture movement to alleviate global poverty and to heal Our Mother Earth (H.O.M.E.). David was born and grew up in Canada, and speaks English, French and Chinese. Following his Chinese Hakka heritage of revolutionaries and changemakers, he works with indigenous peoples worldwide to help them with their independence and prosperity. David is a multi-talented individual and has worked with one the world’s top 50 of Fortune 500 Companies. He pioneered the energy drink category, being the first in the world to add ginseng to formulate Energy Drinks. He created a franchise of this business and franchised it out to Pepsico and their bottlers. He loves nature, people and animals. He has a personal mission to end extreme poverty in his lifeetime. 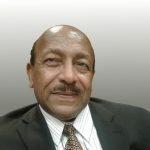 Mesfin Zaid – Chief Financial Officer has been a banking and finance executive for over 35 years, predominantly on the commercial side of the industry. While working for Wells Fargo Bank as Vice President and Department Manager in the Loan Servicing Center (1997 – 2011). Mr. Zaid was given the responsibility of undertaking the Loan Center’s “Green Energy Initiative”. Due to that exposure, he expanded his knowledge working in the areas of Climate Change, Energy, Environment, Policy and Risk Analysis, Research, and Development (R&D), and Consulting in MSWE, (Municipal Solid Waste to Energy). 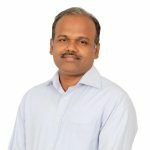 Saravana Kumar Malaichami – Blockchain Manager, is an experienced Blockchain consultant with strong expertise in ICO strategy, smart contracts and distributed applications development. He is a founder of SmartChainers, a Blockchain Solutions Company that provides services to various industry leaders. Saravana has over 20 years of experience in the IT industry. Mike Brunt – Computer Network Manager, Mike Brunt entered the Information Technology sphere in the mid 1980’s whilst working at British Leyland in the UK. This work involved Unix-based systems used in a new vehicle parts warehousing project where machines would select parts for shipment rather than as previously; by humans. The Leyland dealers all had terminals installed which networked directly in the main Unix systems. At this time networking and databases were key elements and it is here where Mike’s expertise lay. Also, Mike was very involved at the inception of the World Wide Web and in fact worked on projects which allowed the querying of databases via a web browser. With the emergence of Ethereum, in 2015, Mike became very interested in blockchain technology and its’ prospects and promise. Currently he runs the HyperLedger Eugene Meetup Eugene Blockchain Meetup groups and is immersed in peer-to-peer and distributed ledgers (DLT) on a daily basis. 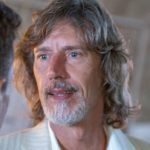 Stephen Cutter Jr. – Vice President of Permaculture. Wuji is a Eco-Conscious Rideshare that Moves with Purpose. Wuji only utilizes green vehicles and plants a tree with every ride. Sustainability and community building is our mission. We intend to partner and grow with the communities we enter. We also are driver focused and have Equity, Tip and Residual Income Options . Wuji wants to showcase by doing the Altruism will overcome Egoism. David Kam – Original Founder, Chairman and CEO , since 2011 he has been in the blockchain and the cryptocurrency industry after indigenous nations approached him to help them end the poverty and sufffering of their people. He had a dream vision of the Tree of Life in 2013, which gave rise to the idea of the Earth Dollar, a currency backed by the health and wellness of Mother Earth. He is also the Chairman of the U.S. Blockchain Association and the President of the Nevada Blockchain Association. He is a co-author of a new book on “The Future of Blockchain Technology”. He is also the co-host of a new upcoming TV show on blockchain and cryptocurrencies called the Satoshi Show. 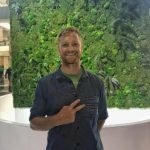 He hopes to use the blockchain counter culture movement to alleviate global poverty and to heal Our Mother Earth (H.O.M.E.). David was born and grew up in Canada, and speaks English, French and Chinese. Following his Chinese Hakka heritage of revolutionaries and changemakers, he works with indigenous peoples worldwide to help them with their independence and prosperity. David is a multi-talented individual and has worked with one the world’s top 50 of Fortune 500 Companies. He pioneered the energy drink category, being the first in the world to add ginseng to formulate Energy Drinks. He created a franchise of this business and franchised it out to Pepsico and their bottlers. He loves nature, people and animals. He has a personal mission to end extreme poverty in his lifeetime. Steve Good – Advisor of the Earth Dollar Association. Steve is an entrepreneur, ICO Advisor and host of The Coin Chat (YouTube & Podcast). He has expertise in digital and technology platforms and business transformation using innovative and disruptive technologies with specific focus in cryptocurrency (investing, mining, ICOs). He is an accomplished entrepreneur and strategist with extensive expertise at board level, in investment management, banking, energy and retail sectors, helping businesses create clear visions with concrete goals to deliver achievable value and results. He has worked for notable companies such as Infosys, Deloitte and IBM. Jonha Richman – Advisor of the Earth Dollar Association. Jonha Richman is a partner at JJRichman, a private investment firm investing in diversified investments in various sectors around the globe, including cryptocurrencies, digital assets, real estate, among others. She has almost a decade of experience working with global innovative companies helping them scale their global operations having worked with brands such as IKEA, Sony Pictures, Unilever, and others. She has also worked with creative powerhouses such Leo Burnett, Media Contacts, and VML Qais. 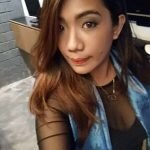 She has been recognised as one of the Top 25 Blockchain Influencers Disrupting the Industry in 2018 by Disruptor Daily, Top 10 Must Follow Thought Leaders in the Philippine Tech Scene by Tech in Asia. She also sits on advisory board of various Blockchain companies that have collectively raised around $95 million. She is a resource speaker and mentor for Google Business Group and Startup Weekend. You may connect with her on Twitter. Bogdan Fiedur – Advisor of the Earth Dollar Association. 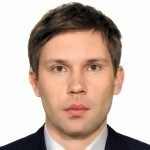 One of the top 20 ICO Advisors on ICO Bench, Bogdan Fiedur, ICO Advisor, ICOBench Expert, Smart Contract Developer, Full Stack Developer, Advisor Volunteer at Cryptocurrency & Blockchain Regulatory Task Force.Bogdan is an influential blockchain and cryptocurrency expert, investor, entrepreneur and a frequent speaker at high-profile blockchain-themed events. He is currently advising many promising startups, is a co-Founder of bitJob and President of Blockchainexperts.io. 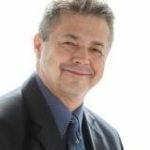 With a BS degree in Computer Science from University of Manitoba, Bogdan has over 20 years of IT experience and has acquired intimate knowledge with inner-workings of ICO development from conception to execution, and has deep understanding of current Blockchain industry. 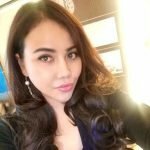 Wannipha Crypto Jen (Crypto Jen) Buakaew – Advisor of the Earth Dollar Association. 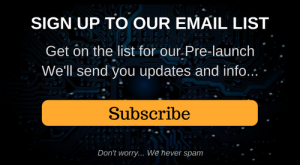 Leading personality, public speaker and voice of progress to the cryptocurrency community and emerging markets. While advising a number of blockchain projects including DRAGON (2nd largest ICO to-date with $320 mil USD raised), and the most recent -Solve.Care (hard cap successfully achieved). Jen is also on The New Money Systems Board- Lifeboat foundation alongside high profile individuals such as Vitalik Buterin and Charlie Lee. Known as Crypto Jen, one of the most highly regarded female crypto/blockchain influencers in the world. Alex Linenko – Advisor of the Earth Dollar Association. Top ICO advisor (Expert the TOP-50 on ICObench). Alex is an experienced entrepreneur and a blockchain expert. He is the co-founder and co-creator of such companies as Seopult, Uptopromo, SatangDee, ICOyard. He worked on the tokenization and strategic management of 15+ successful ICOs (Crypterium, Medichain, Nvb.digital, Bailsman, ICOS, and others). Veronica Andrino – Advisor of the Earth Dollar Association. Veronica Andrino Director of Media and Communications,An Entrepreneur, Founder,Angel Investor, Social Media Influencer, Crypto trader, Blogger and Traveller. In Year 1989, A Filipina was born under the sign of Gemini in the year of the snake. In Chinese culture, the Snake is the most enigmatic animal among the twelve zodiac signs known to be the most intuitive and determined to accomplish goals,while Geminis are known to inquisitive nature, adaptability and outspokenness, innovative thinking and drive and passion with work.Veronica is a jolly person, an optimist and always believed that there are 100 ways to dodge a bullet. These are some of the characteristics that makes her you will see in her. What People dont know about her ,Since 2012 she had been a volunteer for local orphanage and conducting her yearly feeding program, donating and helping out charities for cancer kids, and home for the adults. It has always been her goal to help most kids achieve their dreams in life through education. She had been involved with cryptocurrency since early 2016 when she first bought her bitcoin, and now she had been travelling Asia attending Blockchain Summits and documenting each travels to promote the positive use of cryptocurrency. Andrey Korotkov – Advisor of the Earth Dollar Association. He is member of the International Decentralized Association of Cryptocurrency and Blockchain (IDACB) ICO advisory board. 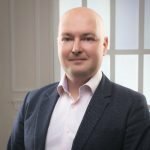 Blockchain expert, currently takes position of business analyst in big token-sale provider ICOBox. His experience started from cryptocurrency trading and at the moment stay at advisory board of 7 successful ICOs. ICO marketing professional, 1+ year experience in preparation and launching ICOs. , 2+ years in cryptocurrency trading and 5 years experience in international companies. 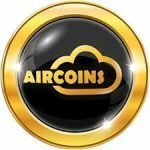 He provide consultancy and advice to selected ICOs and offer assistance to ICO projects in EU and in CIS region. Nitin Malhotra – Advisor of the Earth Dollar Association. Nitin is an ICO advisor, Startup consultant, ICOBench Expert and Founder of Bravado ICOs, a Blockchain Solutions firm. Highly qualified, talented, tenacious, and well-accomplished professional with 5 years+’ experience armed with broad-based background and skills as an ICO Advisor, director of operation, marketing director, investment analyst, IT professional, Healthcare professional, customer service, strategic planning, training, and team building initiatives. Nitin displays outstanding ability to plan, coordinate, implement practices, and procedures to bring significant improvements in efficiency, productivity and processes towards the successful attainment of individual and organizational growth. Seamlessly interacts with customers and personnel at all levels. Nitin is determined to implement earned skills and knowledge for the rapid growth of the prospective organization by working effectively and consistently with significant experience in leading and coaching individuals and teams to collaboratively implement operational structures and process that deliver on strategic objectives through good use of communication analysis. Robert Schram – Advisor of the Earth Dollar Association. Robert Schram is a co-founder and coordinator for United Earth and director of Mother Earth Trust. He is also a co-creator at World Summit and he is manifesting Synergy Hubs & Free Cafes worldwide. The Hubs are mainly intended to facilitate digital nomads and for developing/coordinating of sharing and awareness tools to organize a ‘Movements of Movements’. This to strengthen the momentum towards the new paradigm. At the Hub’s we co-create on transition platforms and educational tools that are based on sharing and gifting.Robert is a promoter for several RBE (resource-based economy) Movements and a Climate Reality Leader.Robert is the author of his book ‘Quasar, THE NEW WORLD’: a plan with 180 recommendations for a new world. Before his writing period he worked for several engineering and installation companies in the Netherlands and Germany as a freelance project-coordinator HVAC. Robert has coordinated over 50 projects in 30 years. Nitin Malhotra – Advisor of the Earth Dollar Associaotion. Nitin is an ICO advisor, Startup consultant, ICOBench Expert and Founder of Bravado ICOs, a Blockchain Solutions firm. Highly qualified, talented, tenacious, and well-accomplished professional with 5 years+’ experience armed with broad-based background and skills as an ICO Advisor, director of operation, marketing director, investment analyst, IT professional, Healthcare professional, customer service, strategic planning, training, and team building initiatives. Nitin displays outstanding ability to plan, coordinate, implement practices, and procedures to bring significant improvements in efficiency, productivity and processes towards the successful attainment of individual and organizational growth. Seamlessly interacts with customers and personnel at all levels. Nitin is determined to implement earned skills and knowledge for the rapid growth of the prospective organization by working effectively and consistently with significant experience in leading and coaching individuals and teams to collaboratively implement operational structures and process that deliver on strategic objectives through good use of communication analysis. George Agathangelou – Independent Economist and Independent Assets Verifier. . George is a classically trained economist and a leading blockchain advocate. George and his team have been hired to independently verify the Natural Capital Assets studies in the World Heritage Sanctuaries under the stewardship of the Earth Dollar. 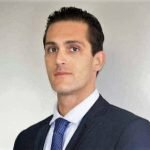 George is a leading figure in the crypto-space within Cyprus, with ten years of experience in financial services and strong connections throughout the FX and Cryptocurrency industry. He specializes in FX, cryptocurrency trading, and alternative assets investments while maintaining an incredible operational track record in management positions for regulated investment firms. Primarily an economist, George believes passionately in the future of cryptocurrencies and aspires to help create the infrastructure required for vast adoption of this new financial paradigm. 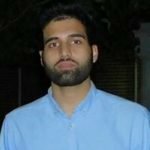 Simultaneously he is an advisor for Cyprus Blockchain Technologies, a non-for-profit organization with the aim to conduct edge-cutting research in the field of Blockchain and Distributed Applications and to organize transfer of knowledge sessions, round-table discussions and executive education seminars. Lastly, George is the Chief Business Development Officer for the first blockchain consultancy firm in Cyprus, Universal Crypto. As an active member of Bitcoin Club Limassol, George attends local meetups to share his enthusiasm. George also founded and maintains the Facebook community Digital Currency Group. Being a renowned public speaker, he’s been discussing recent trends and topics of the cryptocurrency space around the globe. He’s also contributed to a number of white paper preparations and audits for various companies focusing on financial services. Seminibus. Earth Dollar has an agreement with industrial size farmers Seminibus to grow organic hemp in the territories of the World Heritage Sanctuaries. Seminibus has been at the forefront of organic argiculture for the last 30 years from supplying seed and fertilizers, to building greenhouses, growing millions of acres of crops, to processing food. Thirty plus years of Agriculture has been blessed with direct involvement knowledge in every aspect from soil to shelf across six continents. This path & network of people has generated straight forward open honest conversation from everyone over the last couple of years. We are individuals who saw a need for change, found a solution, and are willing to take the necessary action to enhance the Earth’s well-being. We have recognized the environmental impacts & personal health effects during the two-decade rapid globalization of our natural resources and our deliberate actions are to collaborate with those who are focused in developing improved change by encouraging, educating and empowering those who are impoverished. 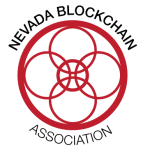 We work with and seek synergistic collaborators united to finding solutions which positively impact the Earth and the regenerative methods for sustainable health, ecology, food sources, and commerce. We can all agree the restoring of this Culturally Rich Earth we live on is a need which requires immediate action. We believe the solution to success is the seed of change and vision. With the global implementation of non-GMO seed technology, the benefits and direct impact will be restoration of the effects from past farming practices. The seed technology will alleviate a multitude of health issues by proper nutritional uptake of the required vitamins and minerals from the food we eat. The need to provide benefits at an individual, community and global level will move society to a creative, collaborative, collective & peaceful paradigm. We are positioning ourselves to make an impact and influence the foreseeable paradigm shift for managing our Earth’s resources using a “trickle up growth” vision to eliminate poverty. Stealthgrid. Earth Dollar will be able to utilize a quantum cyber security technology with decentralized dynamic end-to-end cryptographic encryption for data protection, blockchain, smart city platforms and more. 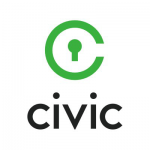 The massive decentralized network, having no central servers, is fundamentally designed to be hacker-proof, as well as provide trust, integrity, ethics, transparency and privacy; each of these elements will be enhanced appropriately as other artificial intelligences tools are implemented. Our strategic partnership with StealthGrid Corporation and their StealthCrypto™ Ecosystem will leverage their global mesh network technology to build a decentralized IoT, and communications future. A global mesh network is a network topology in which each node is capable of relaying data for others and utilizing a proprietary end-to-end quantum security encryption algorithm and authentication that is dynamic. With a hyper-dimensional dynamic model, data is not only moving from blockchain nodes and servers, but it moves and creates a more complex Hilbert space, hyper dimensional models and overlay patterns. All mesh network nodes cooperate, so with each participating node, the reach, throughput and resilience of the network increases.